Have you ever been invited over for pancakes only to discover crepes on your plate instead? Although most Americans envison a fluffy short stack when they hear the word ''pancakes,'' this beloved breakfast dish takes on a multitude of forms around the world. Luckily, we stumbled upon this infographic from Visually which sheds light on the matter. The secret to any pancake batter is in the ingredients, of course. This infographic does a great job at breaking down ingredients by country. 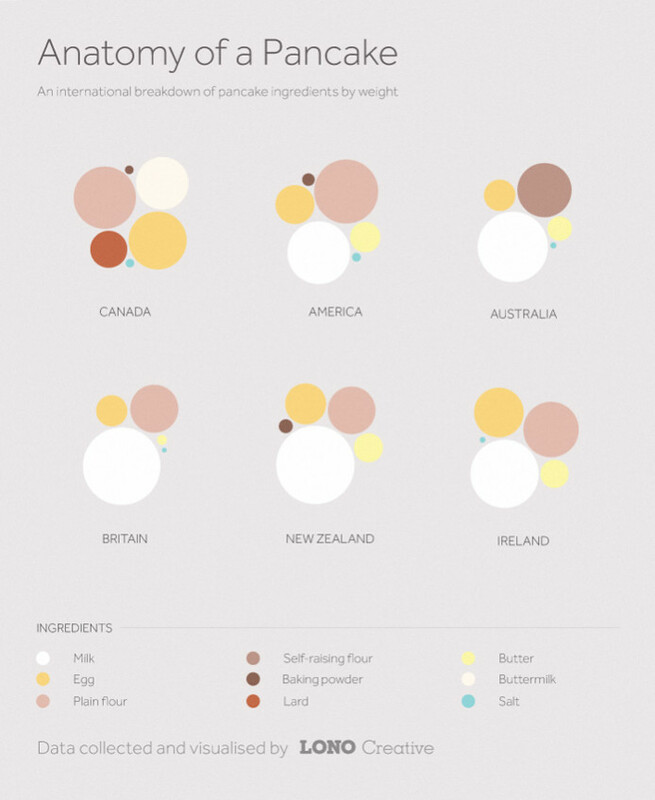 You'll see just how diverse pancake batter can be according to where it's being made. For instance, Canadians favor a touch of lard in their recipes while Americans stick to butter. In England, they nix baking powder while cooks in New Zealand add the most amount of milk to their pancake batter. Interesting, huh? The different ratio of ingredients changes the viscosity of the batter, yielding many different versions of this staple breakfast food - from thin crepes to a fluffy flapjacks. Check out the infographic below to get the full scoop on how people around the world make pancakes.